Earlier this year I did a review/thoughts piece on Sam’s Wicked Chicken Queen from Retrofit. 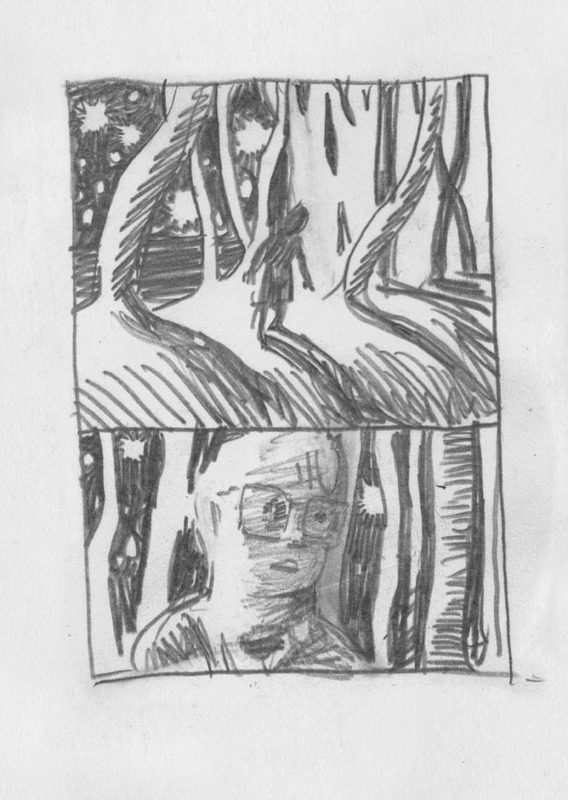 I was thoroughly impressed with Alden’s mastery of graphite and the thoughtfulness of the book. Uncivilized Press has recently released a book with two collected stories, “Hawaii 1997” and “Anime,” the first of which was published on Alden’s tumblr account prior to collection, and the second of which is a brand new story. I don’t generally make too many comments about a book’s production, but Uncivilized Books has put together a really nice paperback for It Never Happened Again with spot-gloss, lovely contrasting colors, and high quality paper. In “Hawaii 1997” we see a young Alden exploring Hawaii and a moment of his life that seems both surreal and life-altering. The story shows Sam meeting a girl around his age while on vacation. There is some horsing around and the play of shadow stomping, and a chase scene that allows Alden to work with shadow and texture. The comic flows really well from page to page, much better than it did on screen, and ends with a punch in the gut. “Anime” shows a young woman, Janet, who feels very uncomfortable in her own skin. She calls herself Kiki after a character from a Studio Ghibli film and is planning a trip to Japan with a friend. She believes that this trip is going to change her, and that “once I get over there things will just be so much easier for me,“ ignoring the finite length of her trip. But what she finds is another foreignness, a more palpable, direct foreignness, than the one she faces at home. Challenged expectations are key to “Anime,” and it’s hard to tell what will happen to Janet in the end. Alden lets his protagonist walk away from the reader as she moves through Japan’s crowded streets. It’s clear she’s just as alone in her land of fable as she is at home. 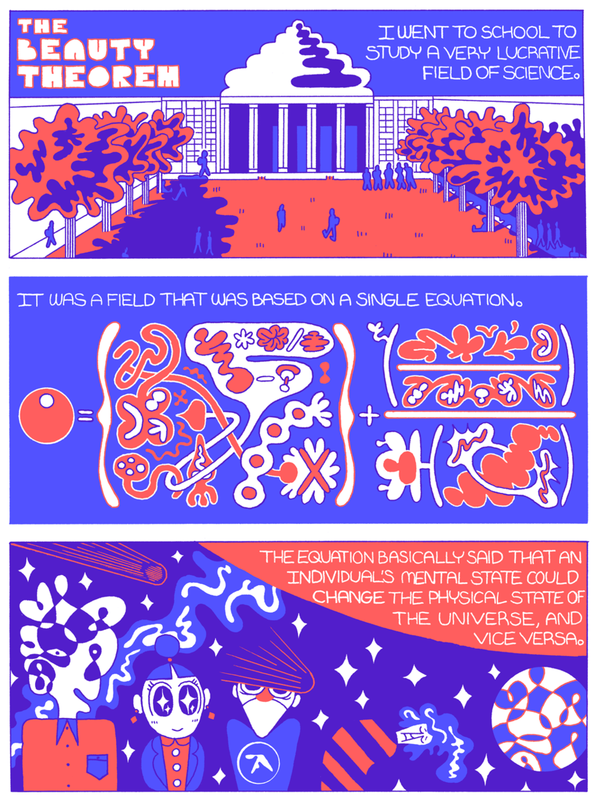 Alden has a habit of letting his panels go a long way before words are spoken. I find myself thinking about the story in terms of what I see and how I feel while pouring over these quiet moments. I think that is what makes Alden’s stinger endings work so well. The flow of It Never Happened Again lends itself to wandering, and Alden seems to know when to make the wandering stop. In some ways, the protagonist of both stories is trying to grapple with the world in a way that makes sense, sometimes succeeding, sometimes not. 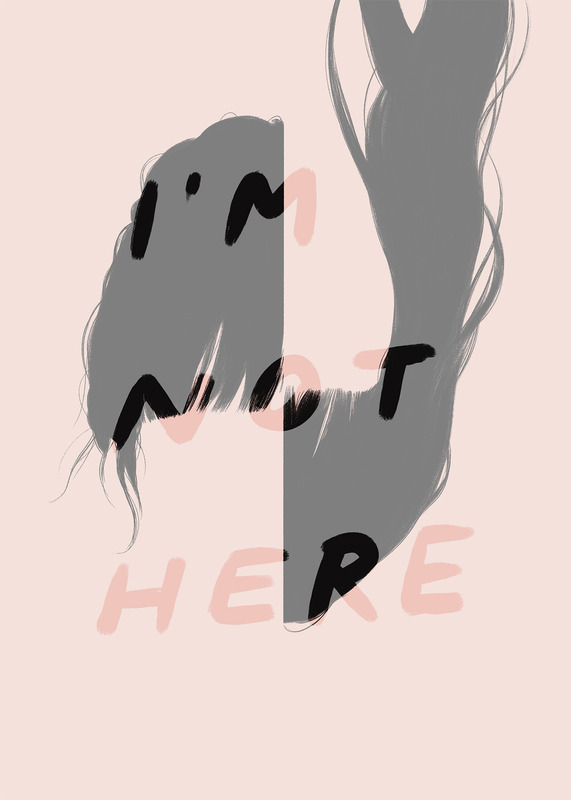 There’s also a sense of trying to push away things, Janet pushing away her father and her given name for something that she feels strongly about, Sam pushing away from his family, his small rebellion of going out when everyone else is asleep on vacation. How the push changes both characters is an essential part of the collection. 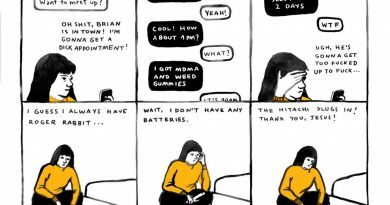 Perhaps it is a loss of innocence that makes these comics so compelling– both protagonists have a sense of vulnerability that is showcased throughout the narrative. Sam and Janet both lose a piece of their innocence in their respective stories. Or, viewed another way, the idea of the personal dream plays heavily in It Never Happened Again; the construction of a dream in "Hawaii 1997” and the implosion of one in “Anime.” These dreams and their potential consequences make the characters in Alden’s stories more real and makes the telling more visceral. The idea of something never happening again, the sense of being in a specific place and time, is key to the development of both of the stories in the collection, and a key to their success. In their own separate ways, these stories show that moment and its aftermath. In It Never Happened Again, Alden has tied together two very different stories and made them resonate. Recommended. 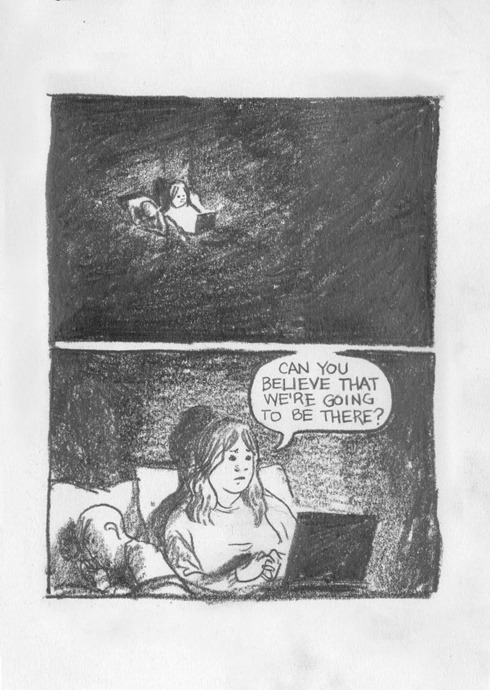 Sam Alden blogs at gingerlandcomics and will have work in the upcoming anthology Subcultures. Uncivilized Books can be found at their website and tumblr uncivilizr. 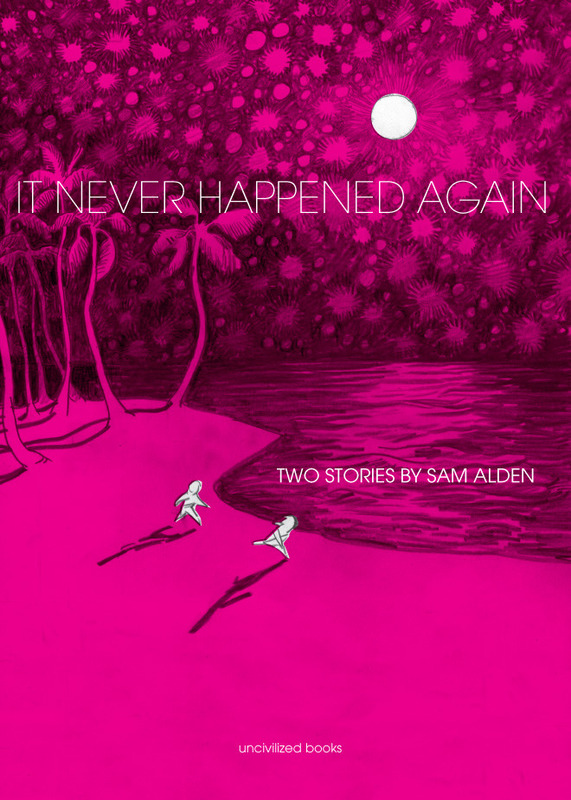 You can buy a copy of It Never Happened Again at this link.